Traditionally Microsoft Windows used to be a sort of stepchild in Hadoop world – the ‘hadoop’ command to manage actions from command line and the startup/shutdown scripts were written in Linux/*nix in mind assuming bash. Thus if you wanted to run Hadoop on Windows, you had to install cygwin. 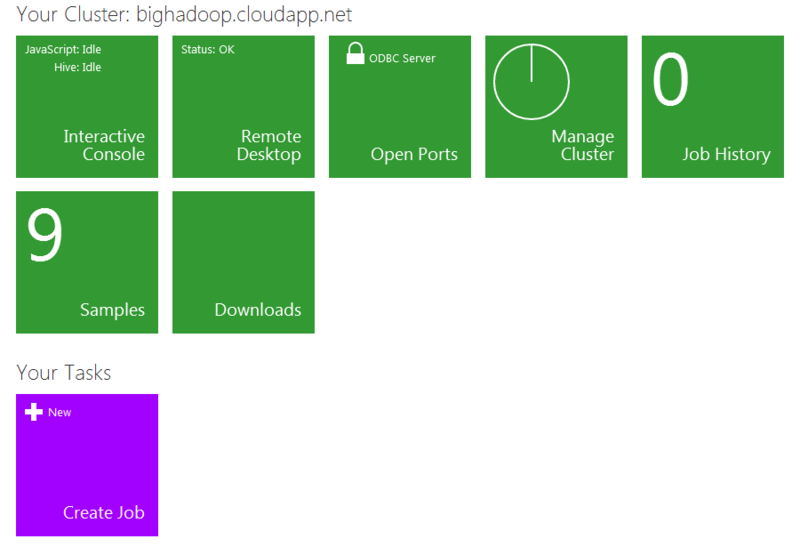 This post covers Windows Azure HDInsight (Hadoop on Azure, seehttps://www.hadooponazure.com) . As of writing, the service requires an invitation to participate in the CTP (Community Technology Preview) but the invitation process is very efficiently managed - after filling in the survey, I received the service access code within a couple of days. 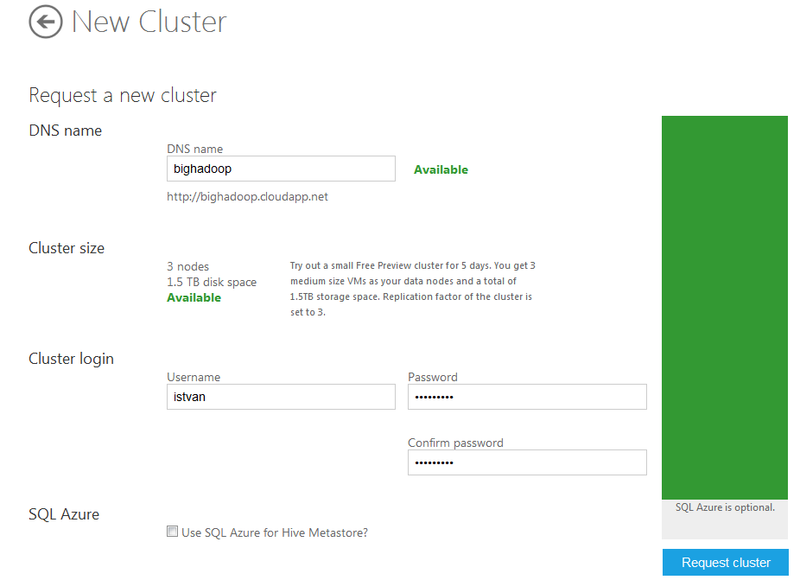 No Hadoop test is complete without the standard WordCount application – Microsoft Azure HDInsight provides an example file (davinci.txt) and the Java jar file to run wordcount - the Hello World of Hadoop. Published at DZone with permission of Istvan Szegedi , DZone MVB. See the original article here.